With a contribution $999 or more your supporting membership helps us plan for growth and sustains the vitality of the studio. Supporting members get Unlimited Classes for 1 full year. 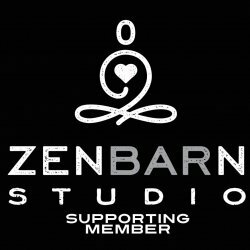 There are additional ways to support the Zen Barn Studio. Such as referring new members and sharing info about the studio on social media.